Social media marketing is currently a very big deal. It is not actually very good for getting many direct sales, but if you want to get the word out about an event or you want to build an online reputation, then social media is for you. Facebook is the world’s biggest social media network. It is four times bigger than its leading competitor, which is Twitter. So, where does the Facebook personal profile fit into this mix? The fan page on Facebook is a place where you can blatantly post about your website, service, business, or just about anything (within reason). It allows you to set up a page that you can post upon and link to your website. It also has a bio section that you can build for whatever you want to be a fan of. Most marketers create a fan page for their business or website. The fan page has things such as a big “like” function where visitors can click to say that they are fans of your subject/item/business/etc too. 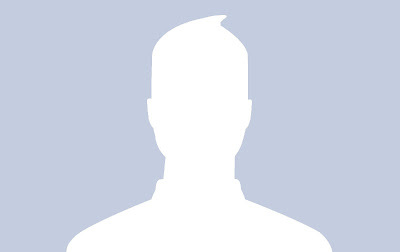 A personal profile is a profile about a person. It has to have details such as age, location, name, etc. You can set up a personal profile in the name of your business, but Facebook marks it as a fake profile. Currently 8% of Facebook profiles are fake. With a personal profile you may create a fan page (it does not work the other way around). You can also make it so that your personal profile and fan page are not linked, so people will not see who started the fan page. You cannot have friends on a fan page, but you can have friends on a personal profile. You need to send them a request that they accept, or the other way around. Once they are marked as one of your friends then they have full access to your profile (barring any security settings you created). Your friends are a little bit like a captive audience because they are forced to see the things that you post. The things that you post will appear on their newsreel. This is good if they use Facebook on their computers, and even better if they have the Facebook Home app, as the newsreel is the first thing that they see. Obviously, your post could be drowned out by other posts, especially if the user does not log on for a while. But, in essence you have yourself a captive audience for your Facebook posts. You can post on Facebook comment sections and other profiles with your fan page profile, and you can do it with your Facebook personal profile. It basically gives you another profile that you can post online with. Plus, you can use your personal profile to share things online just like you can do with your fan page. When you post something about your website on your fan page, you can also post about it on your personal profile. That way all of your friends on the site get to see the post. It subjects an even wider audience to your website promotion. You can also deal with your customers in a more personal way on your personal profile. It is a little bit like allowing the clients/customers to talk to the boss instead of having to go through the fan page or website. It puts a human face on your business/website. Facebook do not like the idea of people setting up fake profiles in order to promote a website. Obviously, they are not going to worry about every fake profile or they would have to spend millions in removing them. But, if your personal profile gets popular and yet is mostly just a hub for promoting your website, then Facebook will take over your profile. Nothing on a Facebook personal profile is ever listed on Google. This is not particularly a bad thing, but it just means that your posts on your Facebook fan page are going to get more exposure because they may be indexed on Google.